Betech has found success with solid solutions for both general and specially demanding applications. Throughout technical industry. Flanged connections, extensive piping runs and large sprawling complexes are where you will find many of Betech’s products. In media like hydrocarbons, corrosives, steam, boiler feed, acids, caustics, solvents etc., Betech has products for every application to offer. The FRG can be provided with a fire-safe solution with API 6FB approval for use by engineers dealing with corrosion damaged flange faces, in challenging environments, such as hydrocarbon containing systems. 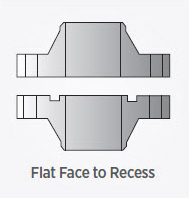 The Flange Rescue Gasket is also available in a Ring Type Joint version (FRG-RJ). In heat exchanger equipment, flanges and bolts tend to expand and contract. The compressive force is typically increased to counteract the effects. In order to fulfil these demands Betech has a range of gaskets available depending on the specific temperature, medium and pressure. Used where thermal cycling, pressure variations, flange rotation, stress relaxation and creep is of importance. For all concentrations of sulphure and other acids or bases. Robust to radial shear effects. Enhanced compressibility for low bolt load. Excellent low stress seating characteristics. Seals on poor flange finish. Can be manufactured with an outer ring for correct gasket positioning within the mating flange bolt circle. The steel core provides high gasket blow-out strength and rigidity. The soft facing provide an exceptional gasket seal. 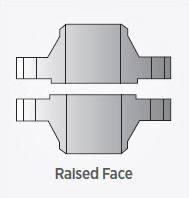 It is the ability to flow easily into the flange faces that allows for high integrity seal, even under low applied seating stresses. Suitable up to class 900 Lbs. The MRG gasket is predominantly utilized on heat exchanger applications, primarily replacing C.A.F, double jacketed and soft iron gaskets. Available in both oval and octagonal profiles, standard style R ring type joints. Manufactured to meet both API 6A and ASME B16.20 sizes and ratings. Also available are Style RX ring type joints which energizes on assembly. This type is designed to fit the same groove as a style R therefore making them interchangeable. RTJ gaskets can be supplied in a wide range of stainless steels, Inconel alloys and other special metals. Coatings available include zinc, Xylan and silver. Are often used in heat exchanger tube inlet/outlet applications above 600 Lbs. Are designed to concentrate the bolt load over a small area thus producing high seating stresses. Exhaust manifolds are characterised by high temperature and a continuously turbulence. Betech offers a wide variation of possible flange gasket solutions which are especially developed for Turbine Exhaust Ducting applications. The ceramic cord is a basic low-cost material that can be rolled out on the square flanges directly from the spool. Disadvantages: In relative short term, the cord will be dissolved or destroyed by turbulence from the application. The MRG gasket with an API 607 approved material as facing material can be designed and manufactured to fit directly to the flanges. The steel will control the compression of the facing material and secure correct surface pressure without destroying the gasket. It is a good, easy handled gasket that fulfils the purpose in this application environment. As regards gas turbine applications, Betech has proven its capability to supply a various number of gaskets and seals including improvement of the customers’ existing gaskets. Numerous gaskets, seals, O-rings and moulded rubber parts are critical components in advanced Subsea production equipment such as mobile inspection units, drilling tools, wellheads, valves and cylinders in trees, templates and manifolds. As regards physical and resistance properties as well as practical opportunities of manufacturing, Betech is your specialist in sealing materials. At water depths between 4,000 and 10,000 ft. the hydrostatic pressure is not only high but also contains internal system pressures. Such critical applications underwater demand special subsea gaskets instead of the regular Ring Type Joint Gaskets. Subsea versions in all RTJ styles with pressure balance holes are available for underwater utilization to prevent pressure lock when connections are made up underwater. The Ring Type Joints for Subsea have the SRX and SBX series, the “S” prefix for Subsea. These gaskets have intersecting vent holes that allow a pressure less metal to metal initial contact between the flanges and groove underwater. This vent hole lets any water trapped between a ring groove bottom and the sealing area of the gasket to escape that can interfere with make-up underwater. SBX and SRX types are designed and manufactured for topside and subsea blow-out preventers with the API Standard 17 D for use on subsea wellhead and Christmas tree equipment. EnDura® is an ultimate range of elastomers for sealing applications in the world’s most aggressive high pressure environments. As an example – unlike traditional EPDM materials – EnDura E90SR withstands high temperature up to 290°C and high pressures, with excellent resistance to rapid gas decompression. These properties make the new material ideal for use in anaerobic high-temperature environments such as those encountered in geothermal applications and enhanced oil recovery applications. EnDura® materials and our collection of other elastomer compounds are available as O-rings, T-seals and custom moulded parts. In response to engineer demand for a Flange Rescue Gasket for subsea use, and analysis of the challenges of this environment, an adapted FRG SS has been developed with additional functionality to promote safe practice in this environment. As protective covering and sealing for moving parts in subsea equipment, Betech provides customized, accurate rubber bellows and flexible covers. Besides the practical need for protection of the mechanical equipment, a correct covering also gives financial advantage of increasing service life. Bellows and covers are made of materials and qualities that fulfil all demands in the offshore and subsea industry. materials from world leading, specialized manufacturers. offshore and Oil/Gas applications such as heat exchanger, piping, gas turbine, exhaust manifold, subsea and drilling. Key considerations for decision on packing types and packing material.